This dress is one of my most favorite pieces in my closet right now. 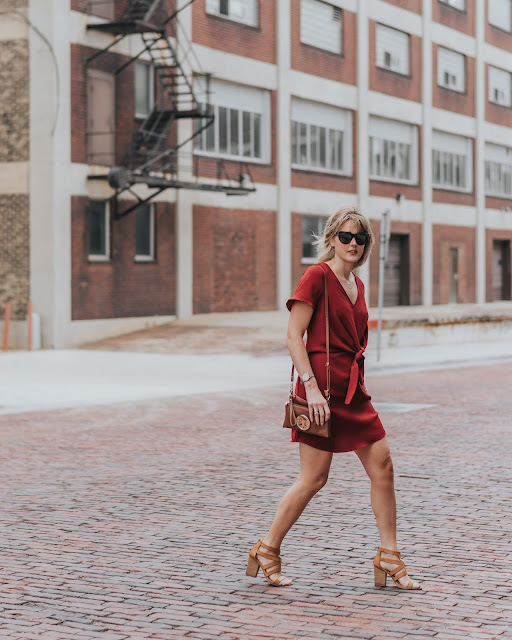 It's rare to find a dress that so effortlessly transitions between seasons and from day to night. I have worn this dress to work and to blogging events. In the heat of summer and in the fall. The silhouette is so classic that I think it just works in almost any occasion. When it was warmer I would pair it with these block sandal heels. As the temperatures cool I would wear this with a high knee or OTK brown or black boot. 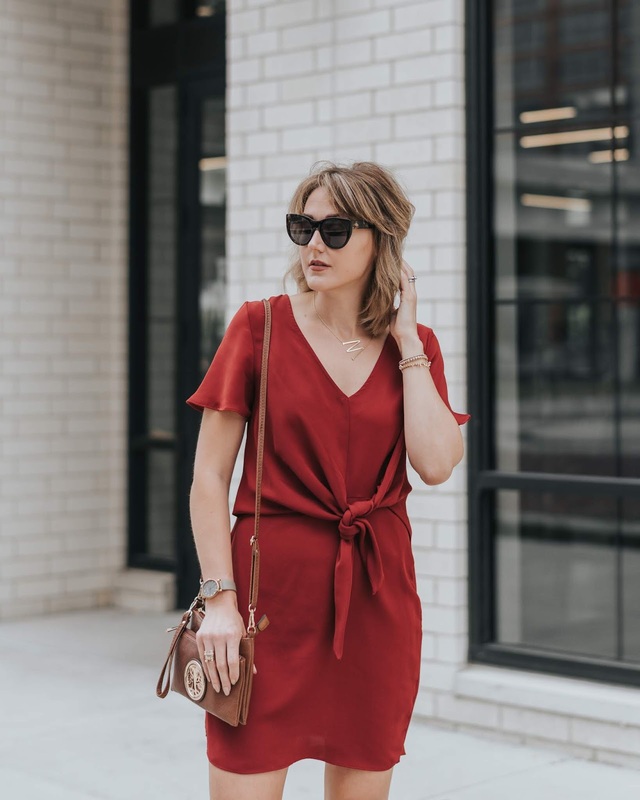 What initially really sold me on this dress was the knotted front. Very on trend, of course, but also I think it helps create a smoother line. You see all those bodycon dresses and they all cute, but I don't have the figure to make those work. I need some forgiveness and this knot does just that. It helps create the illusion. I also bought this one size bigger so it would hang a bit more. I do that sometimes with dresses like this. If it hangs right and does not look misshapen it is more flattering. Also, a looser fit is better for work. 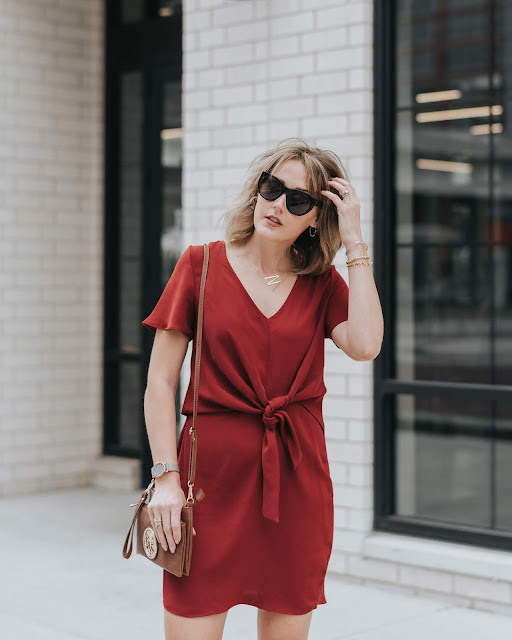 With a red dress, everything else should be simple. I paired it with my go-to everyday necklace and a small cross body bag. What do you think? How would you style this for fall? I would definitely layer it up with a suede moto jacket and some OTK boots or a bulky duster cardigan and some booties. Also don't forget about my giveaway with JORD Watches. Click here to find out how to enter!